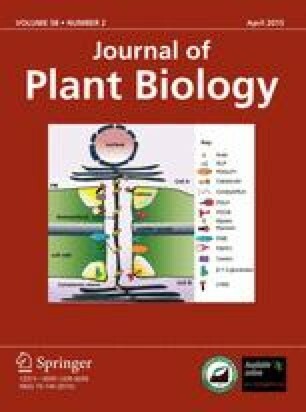 This study was conducted to assess the suitability of the Delila gene (Del) from snapdragon for use as a visible selectable marker, under the control of the cauliflower mosaic virus (CaMV) 35S promoter, to develop a plant genetic transformation system that helps to avoid using antibiotic- or herbicide-resistance genes, such as the gene for resistance against kanamycin or PPT. Following transformation, tobacco shoots showing red coloration always contained the Del gene, which was confirmed by PCR analysis. No chimerism or ploidy variation was observed during genetic transformation. In addition, the integration ratio of the transgene to the T1 progeny was 3:1, following typical Mendelian fashion. By anthocyanin analysis, the plants containing the Del gene were shown to have 80 times higher anthocyanin content than the control plants. Thus, we conclude that strong anthocyanin accumulation, as a result of the snapdragon Del gene, can be used as a visible selectable marker for genetic transformation in the tobacco plant, replacing the use of antibiotic- or herbicide-resistance genes.